If you’re looking to get into shape and improve your fitness, you’re probably confronted by a very serious problem. You don’t want to join a gym. Gyms can be intimidating places, and if you aren’t the sort of person who is comfortable in a gym, chances are you aren’t going to go to one. Thankfully, there are plenty of ways that you can get fitter without ever needing to fork out for an expensive gym membership. From lifestyle changes to changing how you get around, here are five ways to get fit without joining a gym. 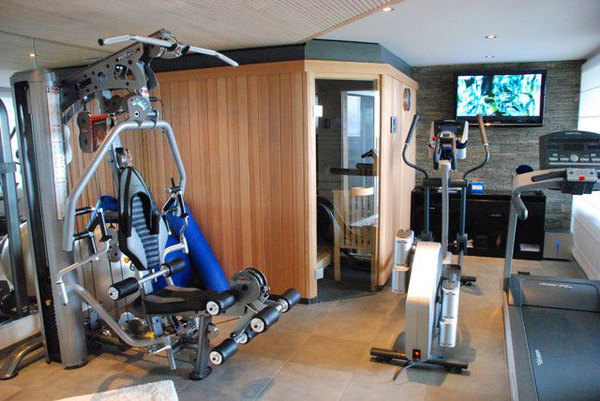 You don’t need to have the best home gym equipment money can buy to start exercising in your own home. Just make five feet to ten feet of clutter-free space in a room somewhere, and you can lunge, jump, dance, squat and do press ups and sit ups without forking out a load of money or needing to leave the house. It isn’t just inside that you should exercise, but outdoors too. The variety of exercises you can partake in away from home is huge, ranging from a 5k run around the woods to a hike up to the top of a hill with a beautiful view. Even visiting a park with its monkey bars or using a bench to do step ups will get the blood pumping and your fitness improving. Changing how you get to places is a simple and effective way to improve your fitness levels. If you currently drive to work and the journey is walkable, then hit the pavements. Sure, it will take a bit longer to get from A to B, but the health benefits of a brisk walk are worth it. You can also invest in a bicycle for those slightly longer journeys or for when you are in more of a hurry. Seizing the opportunities to be more active throughout your everyday activities can have a real beneficial effect on how fit you are. Smoking can have a huge effect on your ability to exercise. Nicotine and carbon monoxide from smoking can have a negative impact on your blood, which makes it harder for your body to get oxygen into your muscles. The tar in cigarettes coats the inside of your lungs meaning they are less effective at processing oxygen and the habit also places additional strain on the heart. As a result, you may want to consider switching to an alternative via the aid of these dab pens which will be a hugely beneficial lifestyle change. Diet can have a huge say in how fit we are. A healthy diet can be every bit as important as regular exercise when it comes to getting and staying fit. Cut back or avoid sugary, fatty processed foods and aim to give yourself a balanced diet of protein, whole grain and fruit, and vegetables.